This is a summary of the grievances of the Nigerian labour force as conveyed to President mauhammadu Buhari on May Day which is set aside to celebrate workers. Organised Labour at yesterday’s May Day celebration, told President Muhammadu Buhari that workers and ordinary Nigerians were beginning to lose faith in the change mantra of the All Progressives Congress, APC-led Federal Government. 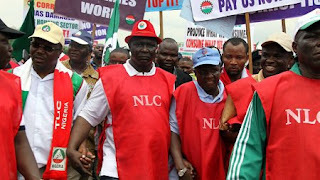 But the Nigeria Labour Congress, NLC, and the Trade Union Congress of Nigeria, TUC, were unanimous in condemning increasing poverty, unemployment, insecurity, erratic power supply, fuel scarcity, and called on government at all levels to urgently address the mounting hardship and frustration in the country according to the Vanguard.